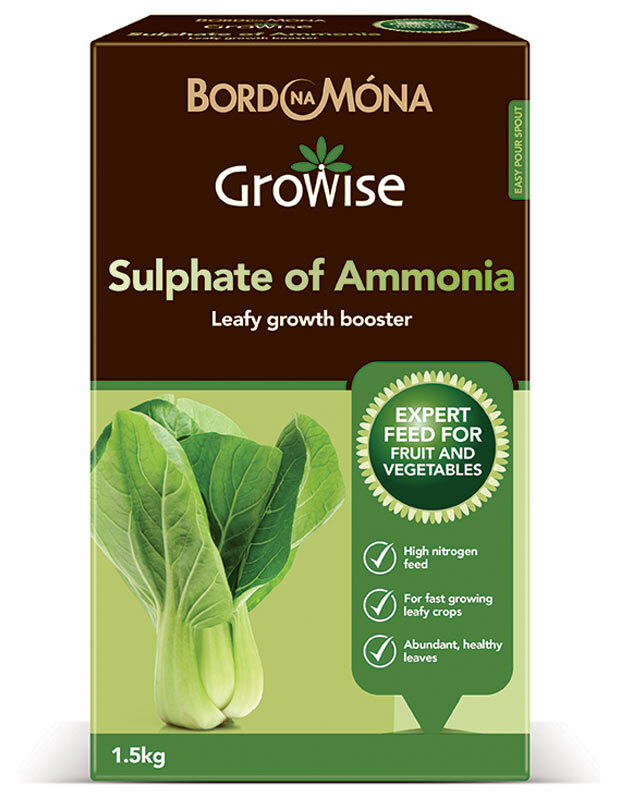 Bord Na Móna Growise Sulphate of Ammonia is an easy to apply, fast acting, crystalline fertiliser. Gets to work fast, providing a quick acting source of nitrogen. Ideal for greedy vegetables such as potatoes, cabbages, leeks, beetroots and onions. Provides an essential nitrogen source to fruit, including plums, pears, currants and rhubarb. Perfect for greening up lawns in spring. 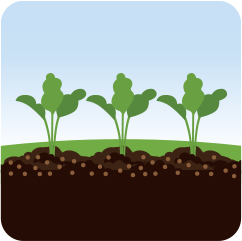 Evenly spread across the bed at planting time, and every 6-8 weeks through the season. 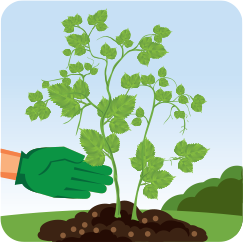 Sprinkle around existing plants in early spring. Bord Na Móna Growise Sulphate of Ammonia contains a high concentration of nitrogen. Can be combined with Bord Na Móna Growise Sulphate of Potash and Bord Na Móna Growise Superphosphate for a complete plant food. Vegetables including potatoes, cabbage leeks and beetroot – 35g per square metre (1-2 handfuls). Repeat every 6-8 weeks. Soft fruit including currants and gooseberries -35g per square metre (1-2 handfuls). 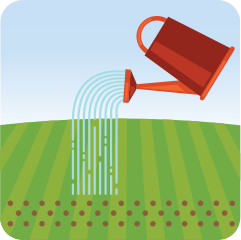 Lawns – 20g per square metre (1 small handful) mixed with 5 parts sharp sand or dry garden soil.